Revenants seem to be peaceful at first. However, if a player is within two squares or melee range of a Revenant, they will immediately attempt to attack the player, even if a wall is blocking them. Revenants do not wander far from their respawn point; their wander range is extremely small, about 2×2. However, if pursuing a player, they will leave their respawn point to a boundary, after that they will be unable to attack you. Revenants lose their aggression when a player has stayed long enough, or when a player has run out of the Revenant in minimap range. Unlike most monsters in RuneScape, Revenants have a different type of targeting mechanic. Revenants will be given targets that it is able to attack. For example, if someone is luring a Revenant and another player comes in, they will attack the new player until they run away or die. Once the new target is dead or has run away, the Revenant (who is lured out), will target anyone that has attacked them. For example, if one player attacks a Revenant knight, another player comes in and it attacks that player and the player dies/runs away with the Revenant following him/her (lets say the Revenant gets out of the lure spot), once that target has run away, the Revenant will attack the primary attacker until that person dies/runs away/hides. When a Revenant is at half or lower then half of its maximum hit points, it will heal itself. 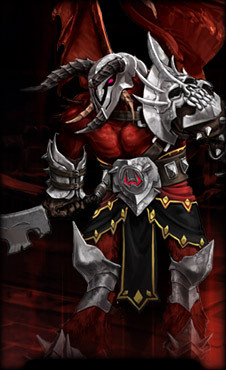 For example, a Revenant demon with 400 or lower health will heal by 100, thus making it have 500 health. Revenants will always heal themselves when their hitpoints fall at half or below their lifepoints. They will be unable to attack you (like players), if rapid attacking weapons, such as ranging with a Maple shortbow, a Rune scimitar, dagger, etc. They will attack back though if you are using slow weapons like a battleaxe, 2h, warhammer. Revenants will heal themselves for 20 times, for a total of 2000 hitpoints. Once their food “charges” run out, they will resume attacking you until one of you dies. The revenant’s sound eating is similar to that of a player’s. Revenants attack off with mage. Afterwards, they will analyze you for your “weak spot”. A player with little equipment may be attacked with magic attacks at first, but then the Revenant will switch to melee attacks. Revenants are suspectable to prayers; using Protect from Mage will make them use melee or range attacks. Even offensive and defensive prayers will be suspected by them. For example, if a Revenant hobgoblin is using melee attacks and you activate Steel Skin, on it’s next attack, it will use a magic attack on you. When a Revenant attempts to attack a player, it may be unable to attack because of a wall blocking the way. When the Revenant does a hit on the player (it doesn’t matter if it hits or not), the player may attempt to hide somewhere near the Revenant, such as a wall. This forces the Revenant to move out of it’s current position to find another way to attack the player or teleport to a position to attack the player. For example, if the Revenant ork hits a player and the player hides near a wall close to the spawn position, it will move into another spot where it can attack the player freely.